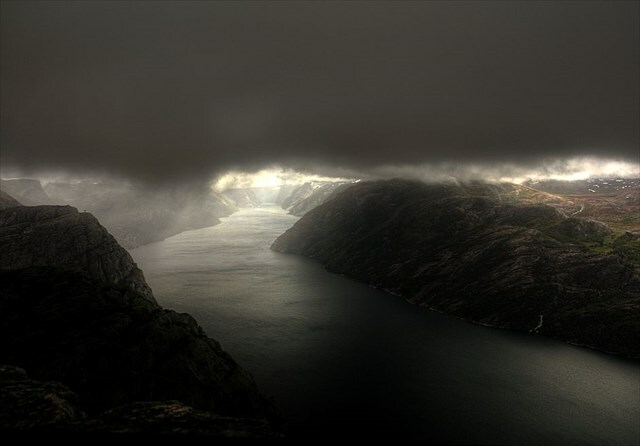 of the Preikestolen. After a hike about 2 hours you can find it ! But the terrain is very difficult ! under a stone few meters beside the footpath. 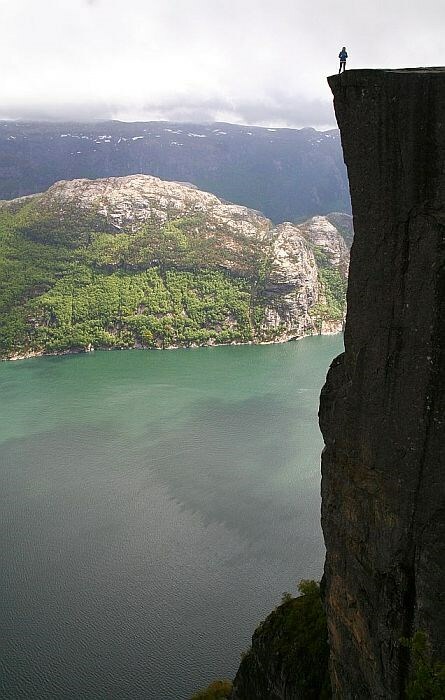 Wikipedia: The Pulpit Rock is located in Ryfylke, Rogaland, a county in Western Norway. The city of Stavanger, the fourth largest in Norway, is located only 25 kilometers from the site, and the parking facility of the Pulpit Rock is located about one hour from Stavanger by ferry and car. The road to the site ends at a parking facility at Preikestolen Fjellstue. A trail extends from the parking facility to the site, which goes through a variety of mountain landscapes. A trip to Preikestolen from the closest car park takes about 3-4 hours for a round-trip hike. The walk to Preikestolen is very steep in places. The path starts at the Preikestolhytta, at an elevation of approximately 270 metres (886 feet) above sea level, and climbs to 604 metres (1982 feet). The hike takes 1-3 hours depending on experience and fitness level. Even though the elevation differential is only 334 metres (1096 feet) and the walk is not particularly long (3.8 km each way), the total elevation gain and loss over the course of the hike is more than one might initially expect, as the path climbs and descends various ridges. The walk is not recommended in winter and spring when there is snow and ice, and the track may be slippery. Best season to hike the trail is from April to October. Sturdy shoes and rain gear are recommended for the hike. 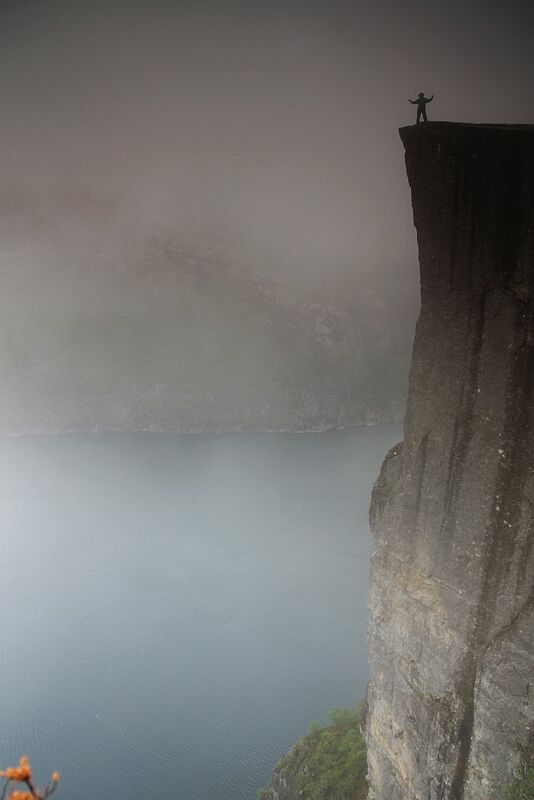 An alternative to the site is available year round: a ferry trip sails beneath the Pulpit rock through the Lysefjord. The weather other than in the summer can be wet and cold, and clouds can then prevent seeing the rock. The ship stops at several small docks on the way in & out, including a layover at the end of the Lysefjord (Lysebotn). va fybg ol gur srrg bs gur ebpx (jnyy), haqre n yvggyr fgbar. Srj zrgref bire gur cyngsbez va A/J.